So, I went a bit crazy when the Disney x The Saem collection came out with all of their Mickey and Minnie Mouse products. Some items were new, but a lot of them were repackaged with the special packaging. Considering that I have a very weak spot for Mickey and Minnie Mouse and don't have a lot of The Saem products, I very happily loaded up my shopping cart on Jolse. This post is just going to include my haul and first impressions but let me know if you want a full review of any of these products! 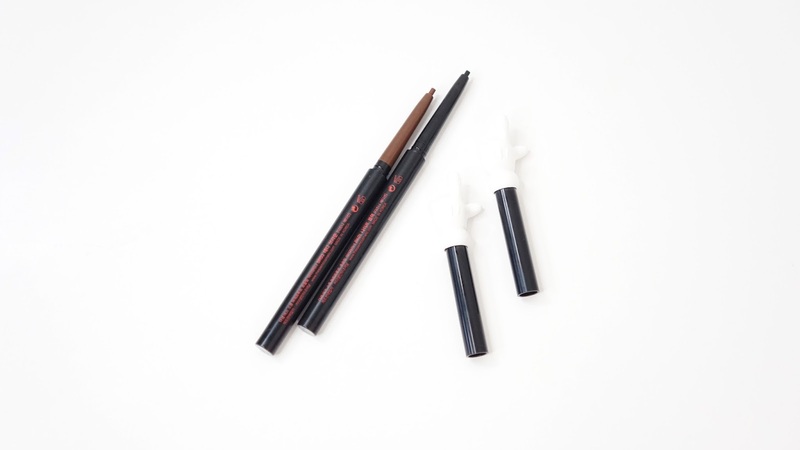 The SAEM Disney Edition Eco Soul Powerproof Super Slim Eyeliner in BR03 Teddy Brown and BK01 Black Night are from the regular line with just a rubber Mickey Glove. Still pretty cute though! They're more on the dry side and with my sensitive eyes, I am a bit wary of using them frequently. I've used them to tight line and so far, it's going pretty well! I guess you can say it's worth the $6 but I wouldn't repurchase these since I prefer creamier eyeliners. The good thing is, the stiffness does help with doing a more thin and precise but still soft eyeliner look. 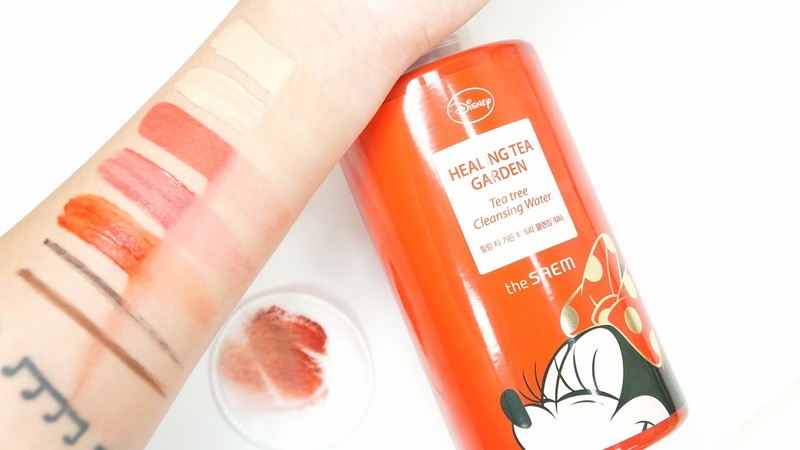 The SAEM Disney Edition Saemmul Mousse Candy Tint in #1 Red Mango Mousse and #6 Chai Tea Mousse have such a lovely light and moussey formula that still leaves a gorgeous and pigmented tint on my lips. I have some other shades from their original Mouse Candy Tint line and while I want to try more, the fragrance is really hit or miss. Some of them, like the Chai Tea Mousse, have such a strong and weird almost off fruity smell that I can't handle putting them on my lips. I wish all of them were fragrance free instead and I would 100% try to collect them all just for the adorable candy packaging. The SAEM Disney Edition Cover Perfection Ideal Concealer Duo in #2 Rich Beige is actually something I've been wanting to try for months. 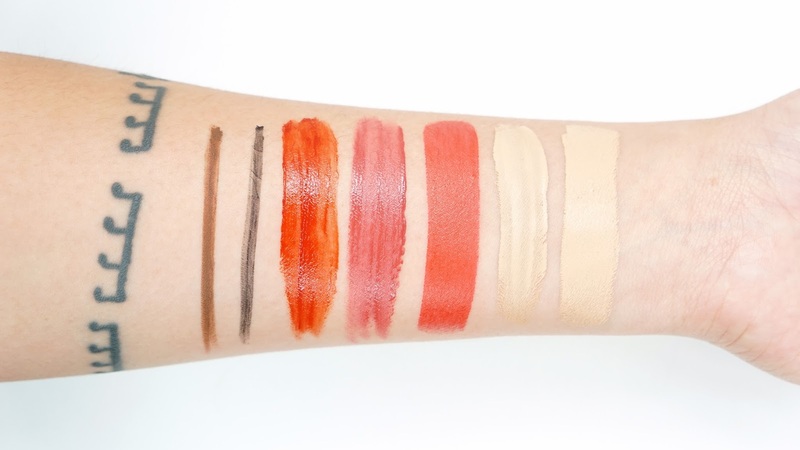 I've heard so many people rave about the liquid concealer side and saying that it's one of the best AB concealers. The cream stick side also had some great reviews and so I was so happy to see the duo in special packaging so that I could try out both! Both sides are the same shade and it's slightly too neutral and a bit too light for my light-medium skin tone. Because of that, the concealer can lean a bit grey especially under my eyes. I just have to remember to apply them under foundation and the light sheer layer of my cushion foundation helps everything blend in and look more natural. I've seen some creasing with the cream stick side, but the liquid side seems to do better under my eyes since I can thin it out a lot easier. My only regret from this haul is the Healing Tea Garden Tea Tree Cleansing Water. It just didn't mesh well with my face and I much prefer using cleansing balms. I mostly did get this for the packaging though and so it's my own fault. Tea Tree hasn't always been great to my skin and so this is pretty much my own fault. It did a decent job at removing makeup though as you can see from above. It was just one swipe with about 3-4 pumps to full saturate the cotton pad. The SAEM Disney Edition Care Plus Shea Multi Balm is not too exciting since it's just a balm, but I'm so glad I got it. It's so handy to use especially since I've started to get more patches of dry skin and ugly cuticles since the weather has started to get more cold. The smell is also very pleasant and light! Everything about this product makes me happy to pull it out of my bag to use it everywhere. It has a light texture as well and so it's easy to put on a light layer wherever you want. Did any of these products catch your eye? Have you tried the Saem?